In our Park Spotlight series, we take a closer look at Houston’s vast array of public recreational areas to shine a light on hidden and not so hidden gems. This week we’ll be spotlighting East End Park. Join us as we take a trip through Houston, park by park. 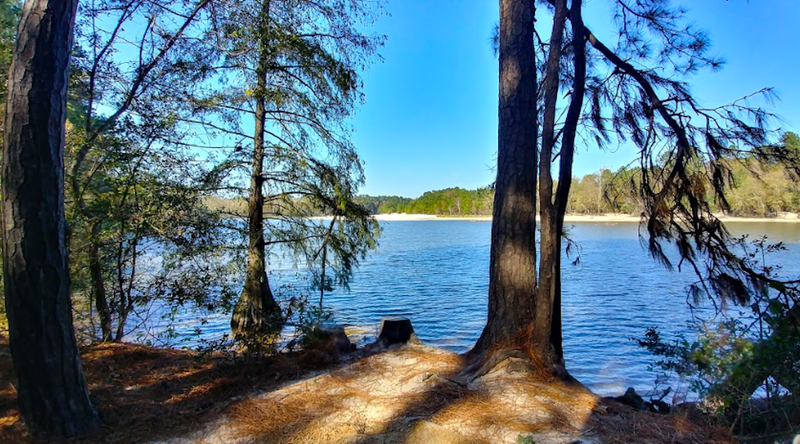 Located northeast of Downtown in Kingwood, East End Park has evolved into an urban nature preserve with two miles of natural trails, two miles of Lake Houston frontage, and with the turn of each season, a different experience for visitors. Donated to the Kingwood Service Association by the Friendswood Development in 1994, this 158.5-acre destination features 3.5 miles of developed trails and boardwalks that give visitors year-round access to the richest remaining vestige of the Big Thicket bio-system in Harris County, containing woodlands, meadows, wetlands, and riverine areas. Those looking to view wildlife or a good spot for birdwatching are in luck. In addition to the usual fauna you’d find in a large park with hiking trails and picnic areas, visitors may spot deer, alligators, and more than 141 species of birds in the park, including several that are threatened or endangered. Getting to the park is easy, too. Visitors can take Kingwood Drive east until it dead-ends in the parking lot of East End Park. Visitors should note that as of 3/15/18 the park’s bike trails are currently unable to be accessed due to debris from Hurricane Harvey. Click here for a map and complete list of trail information at East End Park.